Wadi Rum Protected Area is a renowned picturesque landscape of a red sand desert with steep sandstone cliffs rising and creating long narrow canyons. Within Jordan, it is one of the countries standout attractions alongside the world wonder of the rock hewn tombs of Petra and the ancient Roman city of Jerash. 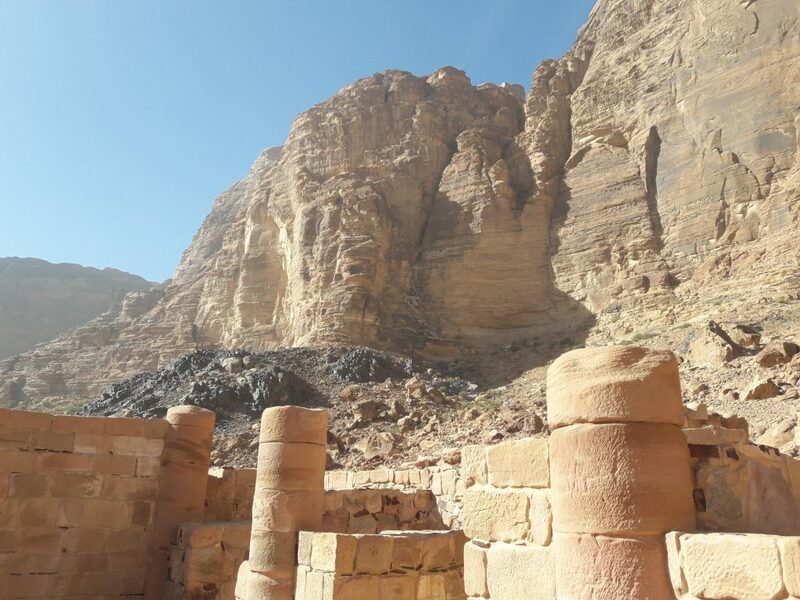 Due to Wadi Rums elevation, at an average altitude around 1,000m above sea level and long, high and narrow valleys, it has cooler temperatures than the surrounding region and has been used as a passage on ancient transport routes for millennia as a result. It has also been inhabited continually by man throughout the ages despite limited sources of water. Due to its natural uniqueness as well as its cultural significance it was added as a UNESCO World Heritage site in 2011. There is an amazing array of landforms within the Wadi Rum Protected Area including Sandstone Valleys, Natural Arches, Gorges, Sandstone Cliffs, Caves and Sand Dunes. 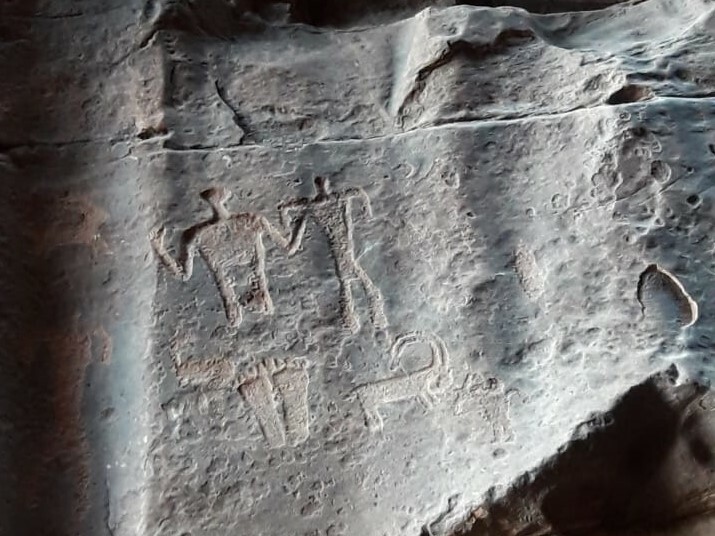 The site also hosts a variety of prehistoric rock art, inscriptions and archeological remains as well as more recent sites including those associated with Lawrence of Arabia. The area has evidence of continual human habitation for over 12,000 years, this is represented through the desert culture of the Bedouins who have maintained high levels of autonomy in the region over the past several centuries despite the region undergoing several significant changes of control and influence. Modern Wadi Rum is solely inhabited by Bedouin families who trace their origins in the region back over 300 years. The camp and the community throughout the Protected Area is passionate about and maintains much of their historical cultural identity and is distinctly culturally different from the major commercial centres in Jordan. The range of colours of the rocks and sands present in the Wadi Rum in combination with the rock formations are what make it famous. It is a particularly photogenic landscape and has attracted major films to shoot in the area because of this appeal. The varied colours of the rock formations and the honeycomb effect from the erosion of the sandstone cliffs as well as the shadows created by the deep gorges and wide valleys provide beautiful views that make for unique photo opportunities. HOW TO GET TO WADI RUM? What to do in Wadi Rum?